Hello there and thank you for stopping by today. Today I am participating in MFTWSC306 (Wednesday Sketch Challenge 306). It's a great way to kickstart your crafting. A sketch provides everything you need to get started! 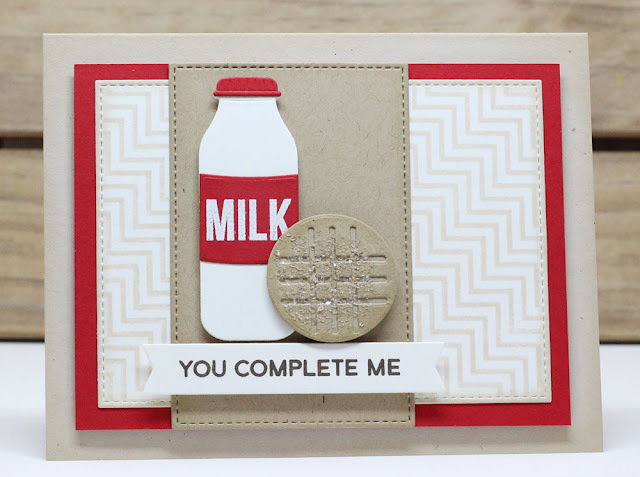 My card today features the You're the Milk to My Cookie Die-namics and Cookie Crumbs stamp set. I also used the Diagonal Chevron Background. I created a peanut butter cookie by die-cutting the cross hatch pattern from a cookie layer and layering over a solid cookie. I dusted it with sugar (glass glitter).